As with before, this list is in no particular order. 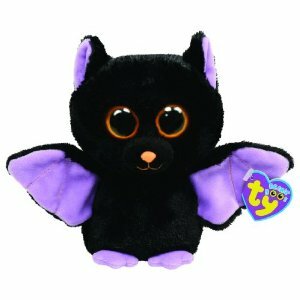 BAT-e was a Ty store exclusive Beanie Baby. 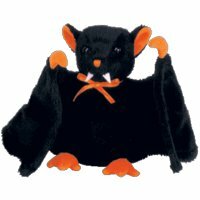 He is similar in appearance (albeit a different colour) to the earlier, Batty the bat, with the inclusion of two tiny white fangs. 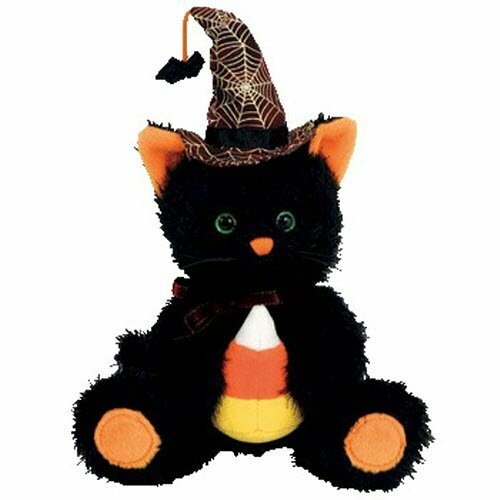 I love the spooky black/orange combination of some Halloween beanies! 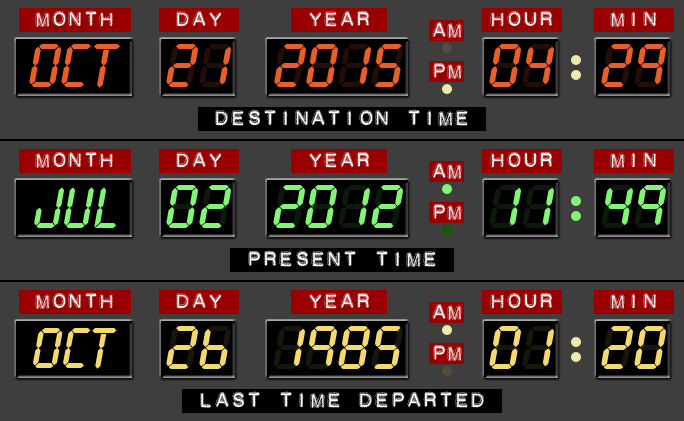 His birthday is also on 31st October! 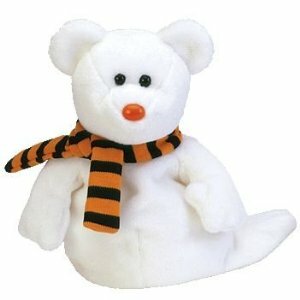 Alacazam was released back in 2010 and with his birthday coming up in a week’s time, he’s soon to be five years old! 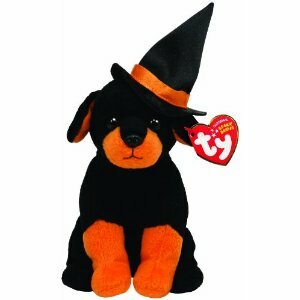 This cute little dog has the same black/orange colour scheme as Bat-e and wears a witches hat costume. 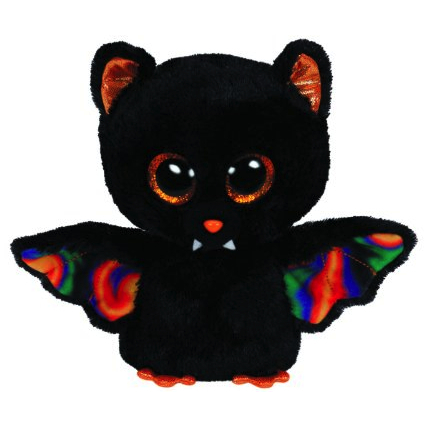 Baron Van Pyre isn’t the first vampire bear Beanie Baby. 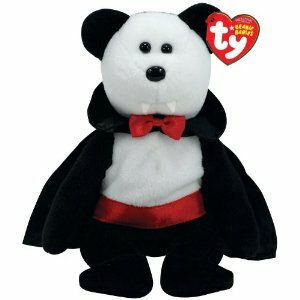 He is almost identical to a previous vampire bear called Count. The only difference between them is Baron Van Pyre’s belt and bow-tie are made from red material and Count’s are purple. The only reason I chose Baron Van Pyre instead of Count is that I just love his name! 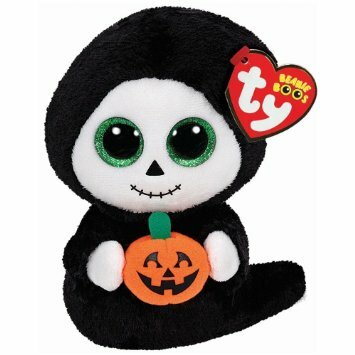 Fraidy is one of my favourite Beanie Babies, let alone Halloween themed Beanie Babies. I don’t know what it is about her that I love. 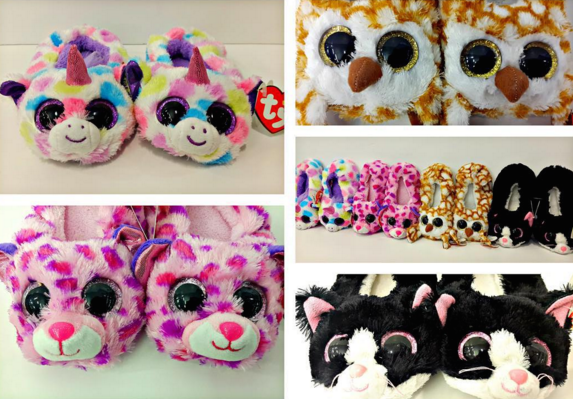 I think it might be the eyes. 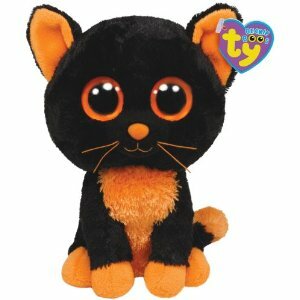 She has gorgeous, bright orange cats eyes that stand out from her black fur. Fraidy was released in 2000. It was also her birthday was 10 days ago, making her fifteen years old! Next up is Tremble. 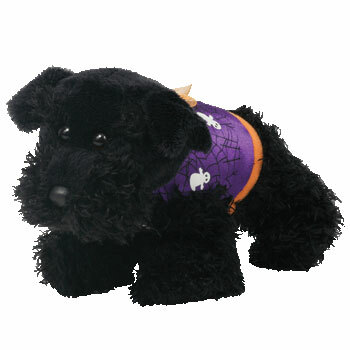 This little Scottie dog wears a cute purple dog coat. 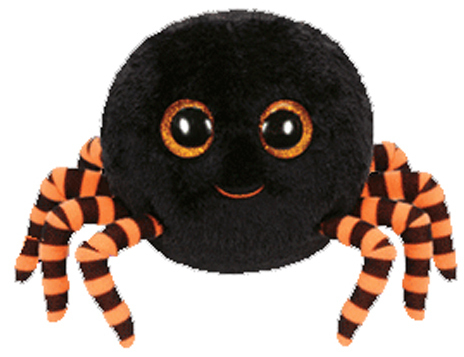 According to his poem, he is scared of Halloween, darkness, and all sorts of various things, which seems to make him appear cuter! His birthday is on Halloween, so he will be terrified when he turns eight years old next Saturday! 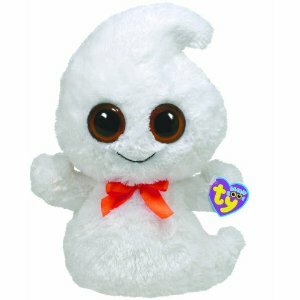 Ghostio is named after Romeo from the Shakespeare play, Romeo and Juliet. He carries a “trick or treat” bag ready to store goodies in on Halloween. He also has a girlfriend, Ghouliette, who is also a ghost. You can’t have Ghostio without Ghouliette! 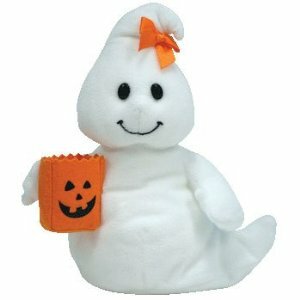 This cute little girl ghost has an orange ribbon tied in her “hair”. 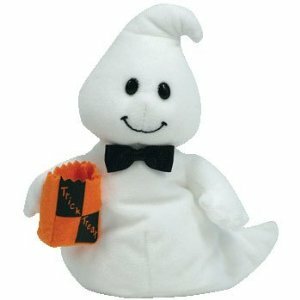 She also holds a “trick or treat” bag, ready to go trick or treating with her boyfriend, Ghostio. 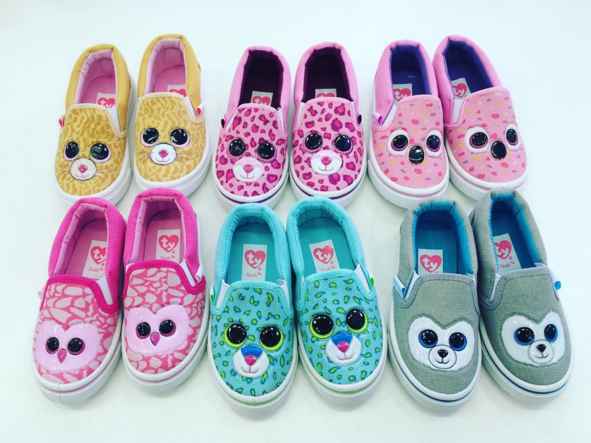 I’ve always loved Sanrio characters, so Hello Kitty had to make it on the list somewhere. 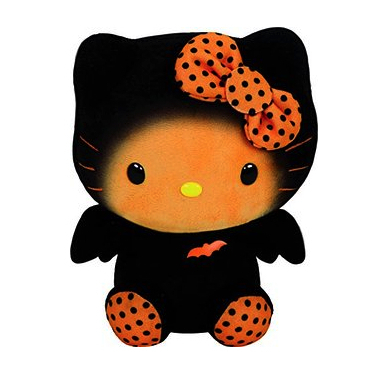 This variation of Hello Kitty wears a bat costume, which is perfect for trick or treating. On her head, she wears a bright orange bow covered in black polka dots. 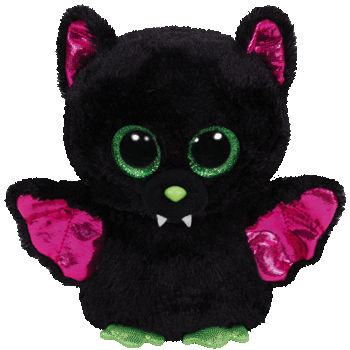 This little bat is not to be confused with the Scarem from the previous Top 10 Halloween Beanie Boos list. 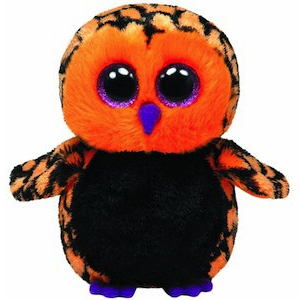 Scarem was released back in 2007, making him eight years old. I love the contrast between his star and moon covered orange wings and his purple feet and ears. 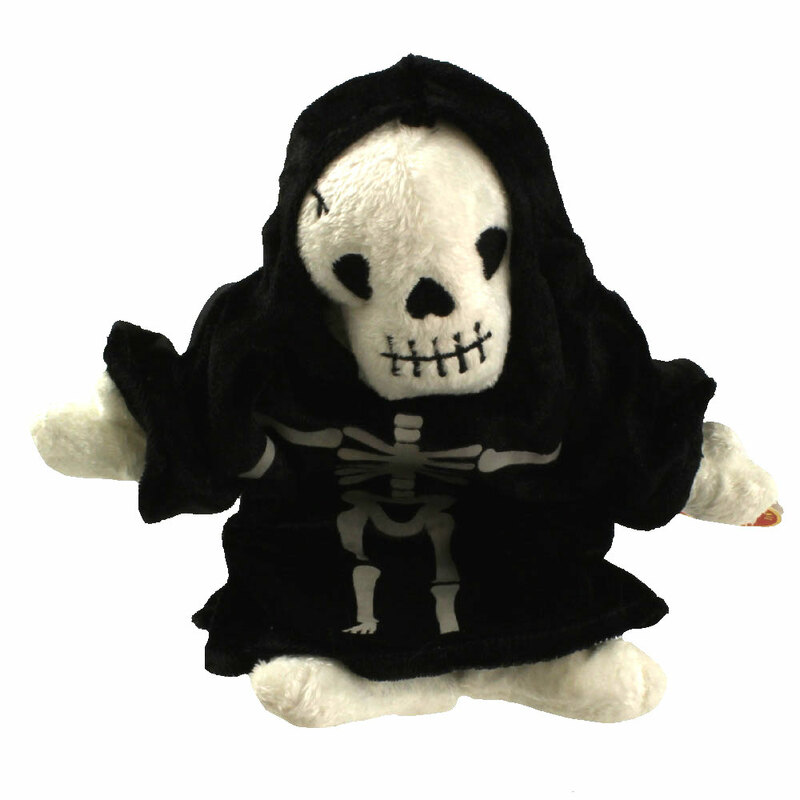 Frightful was released back in 2006 and was exclusively available at Borders stores. 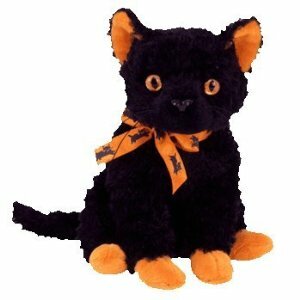 This adorable little cat is made from the same fuzzy material of Fraidy. 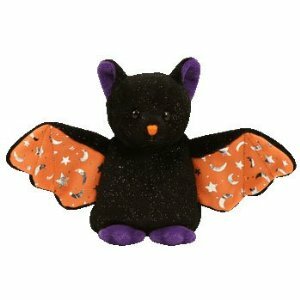 He wears a cute little witches hat with a tiny bat hanging from the top of it. 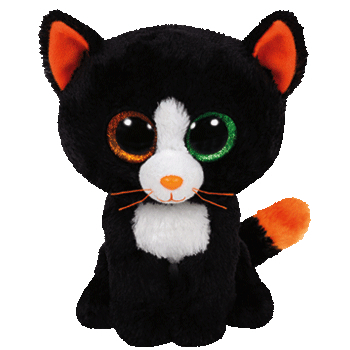 I really love Frightful’s deep green eyes and how the colours on his belly look like a giant candy corn. 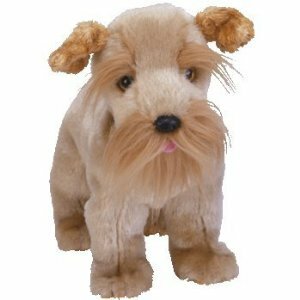 Amazon.com have deals on Beanie Boos! 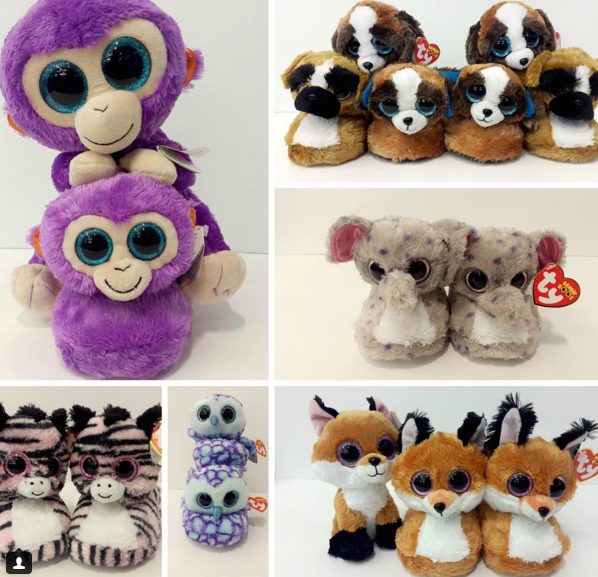 Today, Amazon.com have discount deals on three Beanie Boos! 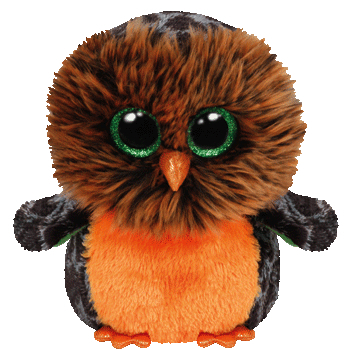 The regular 6″ version of Pinky the barn owl is available for $5.75, down from $9.99. The 6″ size of Coconut the monkey has been discounted to $6.03, down from $9.99. 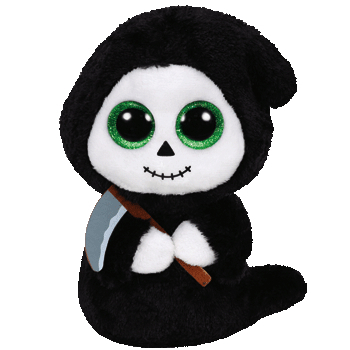 The 9″ Beanie Boo Buddy version of Ellie the elephant is now $10.00, down from $11.99.